Chances are you are planning a new or really need your old website updating. You want it to reach out to a new demographic or genre? Or it needs to tell a new story in your chapter of business. But will it? Will it actually work and connect with the search engines? Load quickly enough for Google to index it and not too slowly that customers feel the will to live, drain from their soles while your site chugs along at a snails pace. Your website needs structure, optimising and be easy for all to read. By all, we mean the spiders, bots, search engines and your audience to read. 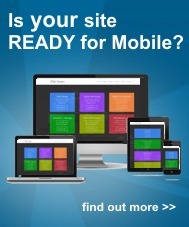 We can analyse your existing site or build a better one from the ground up. A site that provides full readability for Google and others and one that loads in an instant. A website that helps you win better search engine positions and happy customers along the way. We have seen some client sites load pages at over 6 seconds and when optimised with our experience and changes, pull in at a more respectable 0.2 seconds. We feel the need for speed, do you? Contact us today and tell us more.